Do you like traveling? It's high time you proved it! 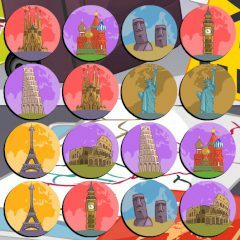 Open pairs of pictures with the most famous attractions of the world, remember their positions and clear the field. Good luck!